First I would like to tell you the difference between compact and foundation. Compact applied to the face to set a foundation after application. It can also be reapplied throughout the day to minimize shininess caused by oily skin. It takes out the shine and holds the colour in. 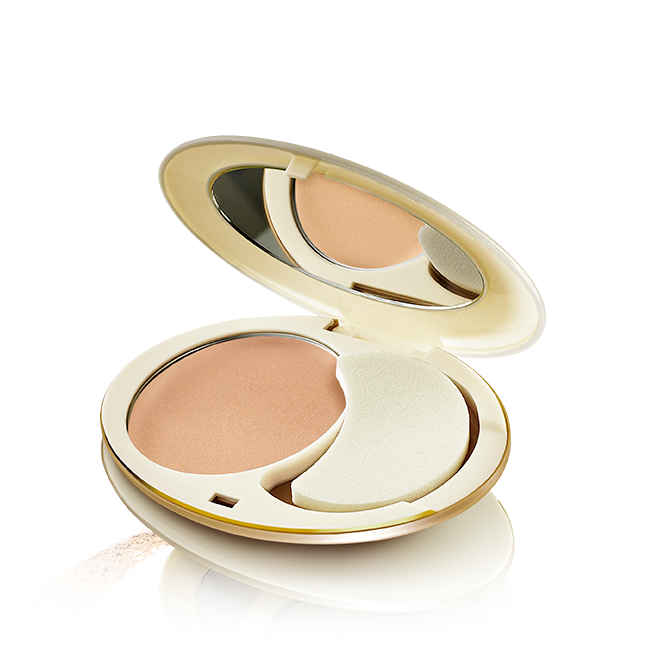 Oriflame Giordani Gold has launched a new product of compact foundation. This luxurious foundation offers the lightness and radiance of a liquid foundation in a convenient compact. Glides on as a cream and then turns into a silky powder for instantly flawless, younger looking skin. It has BeautAge Technology- Anti-ageing expertise for youthful-looking skin. With the ingredients known to stimulate collagen and help prevent its breakdown. Helping skin maintain natural moisture and reduce appearance of signs of ageing. Just a single step to use this compact foundation. Use the custom sponge applicator to lightly apply cream foundation onto skin. Blend well for flawless finish. This is the best compact foundation for aging skin. Hope you enjoyed the post, please share it on Facebook, Twitter and Google Plus.